The education of youth remains of paramount importance, despite changes in the economic landscape. Earlier this year the then Minister of Finance, Pravin Gordhan, announced that 20% of the country’s budget would be allocated to education, which is a whopping R254 billion. While this represents the lion’s share of the 2014 Budget, the key is what we do with these resources. Family budgets are taking strain and with job losses leading to further income disparities, the biggest impact is on women (often the primary or only caregivers to young children). The impact of the global economic slowdown on South African education remains multifaceted, with the gains in better education and accessibility achieved in the past having been adversely affected. This means that it will probably take the country longer than expected to achieve the United Nations millennial goals and as a matter of urgency, we need to move closer to these pre-determined goals. School enrolment has been negatively affected due to an increase in poverty levels. If they do manage to get them there, children often go to school hungry and this has devastating impact on their cognitive abilities. Free education would help alleviate poverty, but it is not yet an option – South Africa does not have a bottomless pit of funds to cover expenses for all. Even in Botswana, where education beyond O-levels is free, the government is reviewing what they can effectively afford to offer learners in terms of education finance. They have opted for a different approach by making university entrance stringent, thus limiting the numbers. 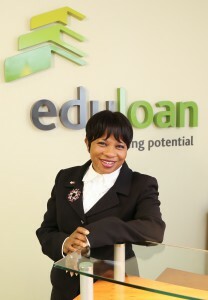 Eduloan, South Africa’s leading education finance provider, plays a major role by providing study finance to prospective students and their parents , thus unlocking potential to those who may not qualify for loans from other financial institutions. To ensure that the funds borrowed are not going to waste, Eduloan makes use of direct salary deductions via the employers of the borrowers, ensuring that loans are settled according to agreement. Study loans are transferred directly to the academic institutions, and not the students, mitigating risk to the company. In South Africa, while we work to better our communities and the nation at large, we need to give attention to what can be done to assist our children to fare better in subjects like mathematics and science. A good understanding and insight in mathematics is crucial – it teaches pupils not just basic arithmetics, but helps them become logical thinkers and problem solvers. Recent reports clearly indicated that South Africa ranks very low in these subjects. Teachers can start playing a more decisive role in improving education. Ironically they are often buried under administrative tasks, therefore minimising the time spent on imparting knowledge in subjects such as mathematics and science. Our teachers need to constantly familiarise themselves with new technology and use innovative teaching methods to motivate learners. Continuous research by teachers should be encouraged. Together with Open Learning Holdings (OLH), Eduloan has a whole range of solutions that provides schools the relevant tools to streamline their tasks. For example, our Principle Primary Software, whereby a school can buy an administrative system to help with all the administration required by government. We also have an agreement with D6 Communicator who have a programme,whereby teachers and schools can communicate with parents via the internet regarding sports practice times, exam rosters and requirements for academic progress. The reality is that some schools just cannot afford to acquire such solutions.There are three more areas we need to focus on in terms of improving the situation. The first is to make sure that governments actually spend the allocated funds on improving education for our children. Secondly, we need to look at partnerships with the developed world, where people can still provide support in terms of aid or grants for those economies that are really poor. The third aspect is for private sector institutions, such as Eduloan, to come up with programmes that will educate people on financial literacy, and secondly to provide innovative products to assist an increasing number of South Africans. Eduloan is a catalyst for changing lives through education and has, since 1996, provided access to education finance to more than 720,000 South Africans with more than R3,7 billion worth in study loans. Eduloan caters for all levels of tuition and pioneered a bursary fund management product called Eduxtras, to further assist students and bursars alike in effectively budgeting and controlling spend on essential study requirements, including tuition fees, books, accommodation and food.